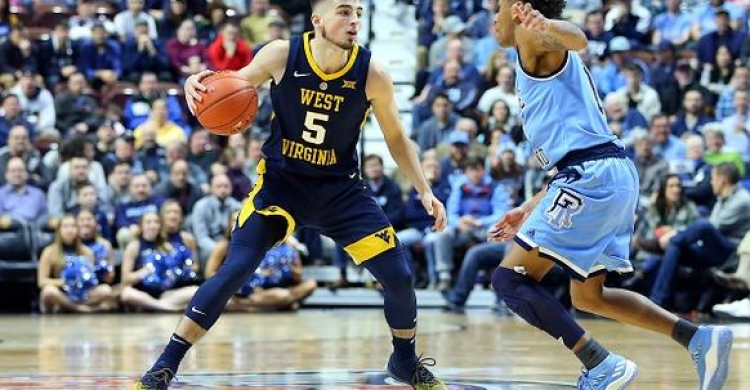 Dan Servodidio offers up his best bets for Friday's action in the NCAA Men's College Basketball Tournament. Although we missed on Florida State covering the 7-point line yesterday, we came out even as the Virginia-Oregon game ended up way under the 120 total points. Wipe all that clean, though, because we have four more Sweet 16 matchups to bet on for Friday! Over the first five days of the Big Dance, we’ve gone 7-3 with our highlighted suggestions - including Yale (+7 over Yale), Murray State (+3.5 over Marquette), UC Irvine (+4.5 over Kansas State) and Iowa (+10 over Tennessee). We all saw Duke nearly get upset by UCF over the weekend if not for a key put-back by RJ Barrett followed by a ball that barely rolled off the rim on the other end. Virginia Tech - notably better than the Blue Devils’ last opponent - actually beat Duke already this season back on Feb. 26. Yes, Zion Williamson did not play in that game as he was nursing knee injury, but the Hokies were also without a key member of their team in senior point guard Justin Robinson. Both sides are healthy this time around, but the seven point line still seems a bit high considering Virginia Tech boasts a top 20 offense and defense, according to KenPom, and handily beat both its opening-round opponents (14-point win vs. Saint Louis and 9-point win vs. Liberty). Tech will also have a semi home-court advantage on its side as the Hokie fans will likely dominate the Washington, DC crowd. Duke could still squeak by with a win but expect Virginia Tech to play them close throughout and probably keeping it within seven points as time expires. Auburn head coach Bruce Pearl put it best when he was on SportsCenter earlier this week: “Take the over,” he said in reference to this matchup of two teams who love to score fast. Although the total has increased about five more points since it opened at 160 on Sunday, there will be a ton of scoring between UNC and Auburn in this Sweet 16 matchup. North Carolina plays at the 6th-fastest tempo in the country and scored 88 and 81 points in the first two rounds against Iona and Washington, respectively. Meanwhile, Auburn’s offense was the 64th-fastest in college basketball this season and the Tigers also put up their fair share of points in the tournament’s first two games - scoring 78 vs. New Mexico State and 89 vs. Kansas. It’s very possible we get both teams scoring 85+ points in this matchup on Friday - which would comfortably put us over the current total of 165.